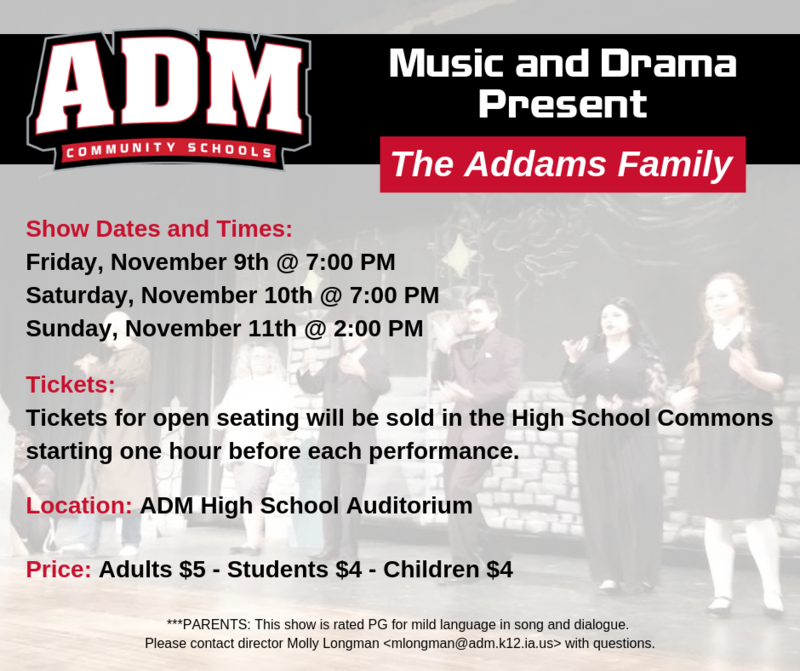 ADM Music and Drama present a fun musical comedy that features all the Addams Family characters you know and love. The student musical will feature a cast and crew of over 60 ADM students showcasing their talents for the ADM Community. Come enjoy the show which will feature all your favorite Addams Family characters: Morticia, Gomez, Wednesday, Pugsley, Lurch, Grandma Addams, and Uncle Fester. Nothing is scarier to this family than normalcy, and that’s exactly what they get when Wednesday falls in love with the perfectly normal Lucas Beineke. Will the family survive? Will love prevail? Come find out!